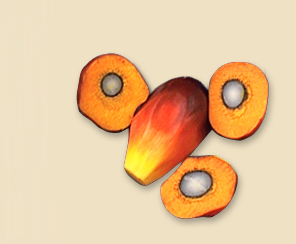 In 2013, NBPOL teamed up with Greenpeace, WWF, Forest Peoples Programme, Rainforest Action Network and a handful of other progressive palm oil companies to form the Palm Oil Innovation Group (POIG) to push the boundaries of current requirements of the Roundtable on Sustainable Palm Oil (RSPO). POIG aims to build on RSPO standards and commitments by both demonstrating innovation to implement RSPO existing standards but also on additional critical issues. With a focus on the three thematic areas of environmental responsibility, partnerships with communities, and corporate and product integrity, POIG members will strengthen their commitments to socially and environmentally responsible palm oil production. POIG is a constructive group that focuses on leveraging its experience to innovate the palm oil industry and act as advocates for these innovations. The Palm Oil Innovation Group will demonstrate that by setting and implementing ambitious standards, the industry can in particular break the link between deforestation, and human, land and labour rights violations, and palm oil. In April 2014, the Palm Oil Innovation Group released the first version of the Charter indicators. New Britain Palm Oil completed a trial audit by Aidenvironment and Rainforest Alliance against the indicators in October 2015. The purpose of the audits was to assess compliance of the producers with the POIG Charter as well as trial the pilot indicators, and the audits were successful in both aims. Three companies – Agropalma, DAABON, and New Britain Palm Oil completed the trial audits and were found to be aligned to the POIG Charter as there were no critical non-compliances with the pilot indicators, and the feedback from audits has been integrated into a formal indicator revision process.